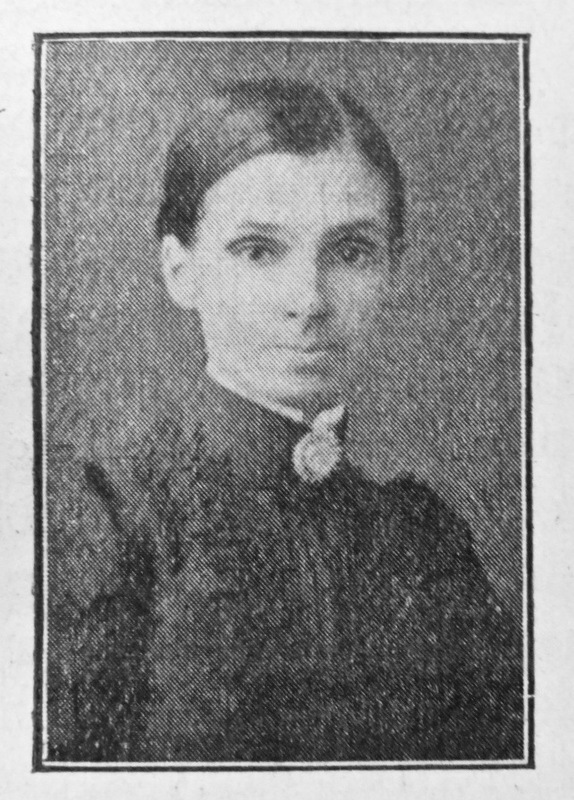 By the death of Mrs. Challice, wife of our esteemed circuit steward, Mr. Matthew Challice, which took place December the 17th, 1904, our church at Newmarket was deprived of one of its oldest and best loved members. She was one of those who have only to be known to be esteemed and loved. Our sister was converted at the age of seventeen, so that she made the great decision early in life. The circuit minister at that time was the Rev. Robert Monkman and our congregation at Newmarket was meeting in a rented room situated in a part of the town known as Alma Place. Some times of refreshing were experienced in the old meeting room, times which are still to our older members precious memories. A special awakening was realised at the time our sister was brought to decision and several others, among them our friend Mr. Challice himself, were added to the church. While the cause was located at Alma Place, our sister showed herself a willing and capable worker. 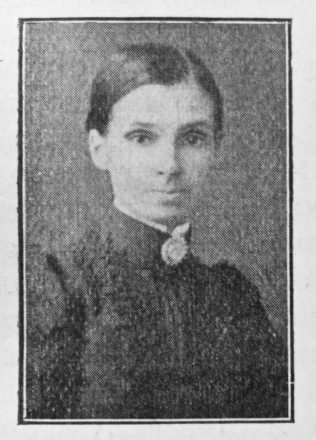 In addition to filling the post of teacher in the Sunday School, she was secretary to the Clothing Club, and also leader of the choir. When the present chapel at Newmarket was built and used for public worship, Mrs. Challice continued to show as great an interest as before in the cause, and gave further proof of her ability and devotion. She was for many years President of the Ladies’ Sewing Class. At Sales of Work held in the interests of the Church, she was always prominent, and indeed was looked to to direct every enterprise which called for help from the ladies of the congregation. Even up to the very last our sister was concerned for the welfare of the Church, and when we held our last Sale of Work, though greatly weakened by long illness, she yet employed herself in working with her needle some articles to sell at the Sale. Such an instance of unfailing constancy is well worthy of recognition. Our sister loved her Church and her prayers and desires were ever for the prosperity of Zion. It is a strange and unaccountable thing that some of God’s purest and best are called to suffer most, but so it often is. It was so with our sister. On the 30th of October, 1900, she underwent a critical operation at Addenbrookes Hospital, Cambridge. Those who saw her as she set out on the morning of the sad day she suffered the operation, feared she would never return home alive. Her look then was that of one not long for this world. But she returned. It so pleased God to spare her for four years more, but they were years of life as an invalid. What her physical sufferings were during this long period of illness, only those who watched by her day after day can really know. But through it all she displayed a wonderful submission and a patience truly remarkable. Consciousness never left her until three hours before she died. Her intellect, save for, this short lapse into unconsciousness, remained clear and strong all through. Her hope in God never faltered and to the last her faith in Christ as her Saviour was her support. The funeral took place in the Newmarket Cemetery, on Thursday, December 22nd. Previous to the interment a service was held In the Newmarket Chapel, and was attended by a large and sympathetic congregation. The Rev. A. E. Goodall officiated both in the Chapel and at the grave side. On the following Sunday evening Mr. Goodall preached a funeral sermon taking for his text 1 Thessalonians 1v. 14. Of our sister’s character little further need be said. Though of a somewhat retiring disposition, she nevertheless always responded to the call when some good object had to be helped. But her religion shone brightest in her home. To her husband she was ever a devoted wife and true helpmeet, sharing with him both joys and sorrows. To her children she was an ideal mother, loving and gentle, always ready to extend to them sympathy and counsel. It is a fact worthy of record that all her children are Church members, and one son fills a. useful sphere in the ranks of our own ministry. And so this devoted servant of God has fought the good fight, has kept the faith and now has inherited the incorruptible crown. For forty-six years she was a member of our Church, and while strength was given her a diligent labourer. Now the labourer’s task is o’er. After her life of toil and years of suffering, she has attained to that rest that remaineth for the children of God. Sarah was born in 1841 at Newmarket, Cambridgeshire, to parents James, an agricultural labourer, and Maria. Before marriage she worked as a dressmaker. She married Matthew Challice (abt 1842-1911) in late 1863 at Newmarket. Matthew was a chimney sweep, later becoming a coal dealer and farmer. Census returns identify seven children. Following Sarah’s death, Matthew married Sarah Annie Derman in late 1905 in London.